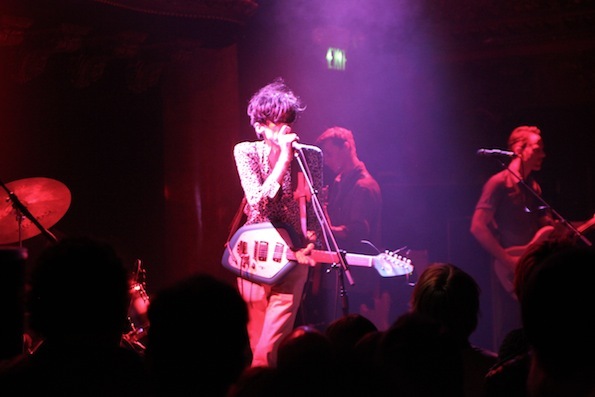 Deerhunter is the truth…the Rock ‘n’ Roll truth. Selling out the GAMH on a Monday night, Bradford Cox and company fired through an epic two hour set that left fans wanting more. The bill was curated by Cox and his presence was felt throughout the night. Cox and Avey Tare (Animal Collective) sat in with Lonnie Holley, an experimental blues musician. Always impressive musically, Cox showed his skills on the drums. Avey Tare’s new band Slasher Flicks was next up. In terms of generational impact, Cox has been quoted as saying that Animal Collective is more important than Radiohead, so having Tare open for Deerhunter made perfect sense. Tare’s solo work, and Animal Collective’s last record is/was highly experimental, chaotic and unnerving, so with a band name like Slasher Flicks, more of the same was expected. Instead, songs were more structured and there was a dub/dancehall influence. They sounded great, and built anticipation for their forth coming record. 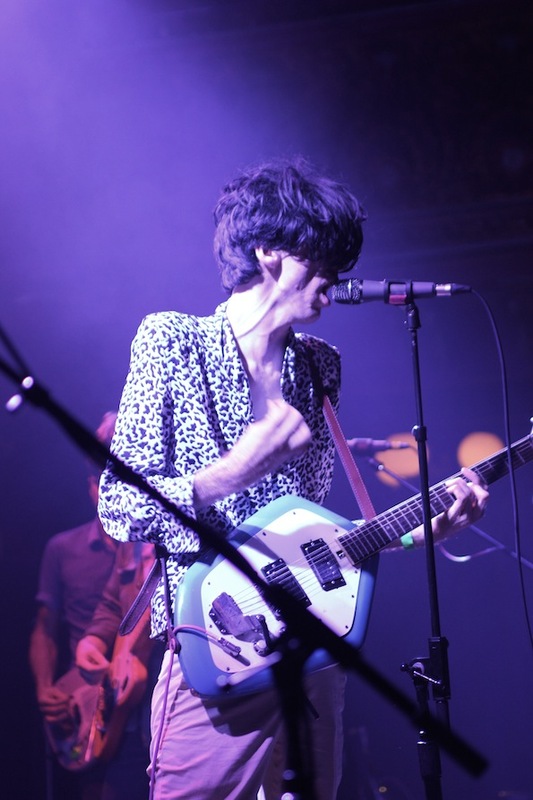 As they played, Cox hung out in the photo area (along with the rest of Deerhunter) and shot pictures of the band. The headliner didn’t make the crowd wait long before hitting the stage to massive applause. The crowd reaction, and the demand for tickets prior to the show gave the sense that the band could have easily sold out consecutive nights. “Neon Junkyard” from their latest record Monomania got the party started. The band recently added an additional guitar player and it made for an even harder sound to the older material. “Nothing Ever Happened” turned into an epic 15-minute jam, “Monomania” caused a mosh pit, “Never Stops” and “Don’t Cry” got the audience dancing. Ever the showman, Cox talked to the crowd throughout the set, and complemented SF for being a great place to play; namely, its leather jacket weather, and succulent plants. They closed the set with a 20-minute spiraling version of “Florescent Grey” in which Cox climbed around the stage, got into the audience, and tried to physically distract his bandmates. They played on, unfazed. As far as the audience was concerned, they could have played on all night.